Not all that long ago I took on the propaganda phrase “Absence of evidence isn’t evidence of absence.” I pointed out that it was used when there was no evidence for a particular theory and it is the last defense as a point began to collapse. Proponents of the extraterrestrial theory for UFOs are not the only ones who had a pet and somewhat meaningless phrase. Debunkers ofter claim that “Extraordinary claims require extraordinary evidence.” They trot this out when it begins to look as if some of the evidence does support the idea of alien visitation. That the evidence isn’t overwhelming isn’t really the point here but this phrase is often used to belittle any solid evidence or ignore it completely. It can be argued that a claim of alien visitation is extraordinary and to prove it there must be some very persuasive evidence. Two or three, or a dozen people standing around and seeing a light in the sky that seems to move with great speed, maneuver in a way that defies physics as we understand it, and then disappears “like a light being extinguished,” certainly isn’t extraordinary evidence. There are too many other explanations for that sighting including illusion. In fact, sighting reports in and of themselves will probably never be sufficient to prove alien visitation. Even if those making the observations are classified as “trained observers” meaning scientists, or police officers or military and civilian pilots, or a combination of all three, it is still just a sighting. When everything is examined, the report is still just the observations of those men and women and certainly open to interpretation. What is needed are observations that are accompanied by other types of evidence. What is needed are chains of evidence independent of one another. A photographic case that is witnessed by several, with radar or other instrumentality involved, and maybe landing traces, or bits of debris that seem to defy an earthly origin would be perfect. What is needed is a scientific study of a case that mirrors that done in the early nineteenth century by Jean-Baptiste Biot. He was the French scientist who put together a study of a fireball that had fallen in France about three weeks before he initiated his investigation and changed the science of the time. He did interview witnesses about what they had seen. He didn’t reject them simply because they were poor, uneducated, or rural. He didn’t reject them because they were not scientifically trained observers. He took down all the eyewitness accounts that he could. But he also gathered physical evidence in the form of the rocks that were alleged to have fallen from the sky. Under analysis, he was able to establish that they were unlike the other geological samples from the region and that they had been introduced at some point after a recent survey of the minerals had been completed. They must have arrived as the witnesses claimed. They must have fallen from the sky. He was able to reverse the scientific thought of the time and convince his colleagues that rocks did fall from the sky. His evidence was not extraordinary. It was eyewitness testimony and an analysis of the rocks that had fallen based on that witness testimony. In the world of UFO, we begin the fight with the vast distances encountered among the stars. Everyone, it seems, agrees with the idea that there is life out there in the universe somewhere and some of it is intelligent. But then there are those who tell us that even with that, these alien races have not solved the problem of interstellar flight because, if they had, well, they would be here by now. When we suggest that Earth has been visited, we are told that “extraordinary claims require extraordinary evidence,” and then dismiss everything that has been gathered as if it were not evidence, or, at least does not rise to the level of extraordinary evidence. Okay, I can stipulate that much of the evidence has been poorly gathered. I can stipulate that the personal belief structures and the biases of those gathering the data come into play. I can even stipulate that many of those who have gathered the data were unfamiliar with the rules of evidence and scientific observation. But I will also note that some of those who complain about those of us who believe aliens have visited have done much to inhibit the gathering of proper data. Philip Klass routinely called the employers of witnesses, or investigators, of lecturers and researchers, and told them that their employees believed in alien visitation. He sometimes compared them to communists. He told half-truths about them. He attempted to silence them for reasons I do not now, and have not, understood. He wasn’t arguing evidence but attempting to silence these people through intimidation. Klass would call venues hosting UFO conferences and suggest these same things, sometimes forcing the venue to be changed at the last minute. Klass, in fact, attempted to inhibit UFO investigation and once accused James McDonald of using government money to chase UFOs. The allegation was untrue but it caused McDonald a great deal of personal anguish and to what end? It didn’t stop the investigations and it might lead to an even more sinister consequence. Klass wasn’t the only villain in this. The Air Force had a hand in it, though their role was never so outrageous. 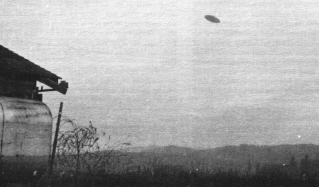 The official spokesmen, or those at Project Blue Book spokesman, believed the Air Force was wasting resources to investigate UFOs. They paid lip service to the idea of investigation and worked to avoid having to study the question. Documentation has been found that underscores that bit of reality. The Levelland UFO case is illustrative. Here was a case that might have met this mythical idea of extraordinary evidence if it had been investigated properly at the time. It had multiple chains of evidence with many witnesses found at thirteen separate locations. In many of those locations there were multiple witnesses. There was evidence that the UFO interacted with the environment in a way that could be calibrated. There is even a hint of a landing trace which meant there would be physical evidence of the UFO’s presence. Or, at the very least, indirect evidence. 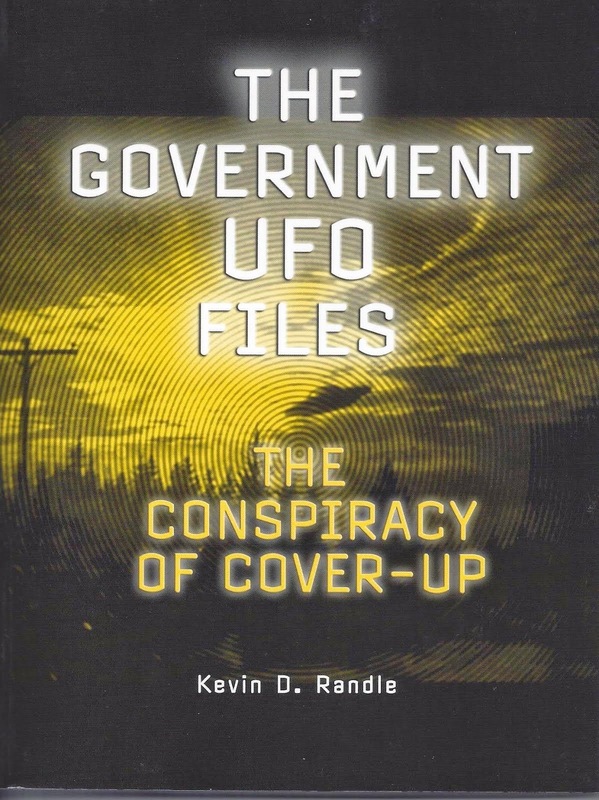 The Air Force almost called Major Donald Keyhoe, the director of the National Investigations Committee on Aerial Phenomena a liar for what he said about the Levelland UFO reports. Air Force spokesmen said that Keyhoe had claimed nine witnesses but their investigator had found only three. My point in today’s world is that I was able to identify many more showing both the Air Force and Keyhoe were wrong. Both underestimated the number of witnesses but both were too busy arguing this unimportant point to get to the heart of the matter. Without going into detail about the case, we have sightings by law enforcement officers, travelers, ranchers, and a host of others. They reported that a close approach of the craft stalled their vehicles, dimmed their lights, and filled their radios with static. Not just one or two of these witnesses, but all of them at all the separate locations. All talked about this prior to news coverage and without consultation with witnesses at the widely scattered locations. But no one was really investigating this case. The Air Force NCO sent in spent a day talking with three witnesses and if a witness did not talk to the Air Force, then that witness did not exist. Even with the suggestion that UFO could suppress the electrical fields around vehicles, the Air Force didn’t pursue the investigation. I would think that the weapon potential would have been obvious to anyone in a military arena and that should have interested them. Today we call that the electromagnetic pulse or EMP. Don Burleson, a UFO researcher from Roswell, New Mexico, which is some three hours from Levelland, said that about a decade ago he talked to the daughter of the Levelland sheriff. According to that information, the sheriff was more deeply involved than he let on in 1957 and according to her, knew of a burned area on a ranch. Who knows what sort of evidence might, and I stress the might, have been found if properly investigated in 1957? Today this information, while interesting, is useless. We don’t have anything from the sheriff, there is nothing to see there, and we’re dealing with, at best second hand information. We’re only forty or forty-five years too late. But here was a chance to learn something important. Here was a chance to pursue those multiple chains of evidence. Here was a chance to gather, within hours of the event, the observations of those involved. Here was a chance, a possible chance, to gather physical evidence. And in the end, it was lost because of a disbelief by those in charge of the Air Force investigation and a fight over how many witnesses there really were. It is possible that the extraordinary evidence might have been gathered at this point. We don’t know because no one actually attempted to gather it at the time. There are other cases that present these sorts of opportunities. The McMinnville pictures of 1950 show some sort of object that is not of obvious origin. There are the photographs that are available for analysis. There is the witness testimony. There are not a horde of witnesses, but there were two known and a possibility of a couple of others. This seems to be a case that is either of something not of terrestrial manufacture or it is a hoax. Maybe not extraordinary evidence but certainly interesting evidence suggestive of something that borders on the extraordinary. There are the Washington National UFO sightings from July 1952. The Air Force eventually claimed that they were the result of temperature inversions over Washington, D.C. But there were sightings by civilian pilots, by military pilots, by witnesses on the ground, and importantly, radars. In one case, radars at three separate locations showed the objects. Multiple chains of evidence that suggested something extraordinary, but a case that was labeled quickly and forgotten. My point here, however, is that each time we suggest a case has some interesting elements, we are reminded that “extraordinary claims require extraordinary evidence.” I suspect, however, that if we produced an alien ship, there would be those who would believe that we whipped it up in a lab just to prove our point. There are people who argue that no man has ever walked on the moon. There are those who deny everything and base their denials on personal belief rather than evidence review. I merely suggest that we not allow ourselves to be diverted by propaganda such as this. Yes, we must improve our methodology, yes we must improve our techniques, and no, we really don’t need more sighting reports. What we must do is gather the evidence in a professional manner and present it in a professional manner. Once we do that, we can get away from the propaganda machine and just maybe learn a thing or two. It seems to me that if a skeptic writes something that is anti-UFO, it is accepted as fact immediately. If a proponent writes something that is pro-UFO, it is rejected immediately. There is no criticism of the anti stance, just acceptance of it all and no acceptance of the pro stance, just a rejection of it. Such is the case with the McKnight Affidavit. Philip Klass, in his monumentally inept The Real Roswell Crashed-Saucer Coverup, wrote, “Important new evidence to further challenge [Frank] Kaufmann’s story emerged in early 1997 in the form of a sworn statement by Jim McKnight whose Aunt Florence owned the ranch on which the flying saucer allegedly had crashed. McKnight’s father owned the adjacent land. (McKnight’s affidavit, dated February 3, 1997, was obtained by officials of the Roswell International UFO Museum, in response to Randle’s challenge to the “new Ragsdale impact site” west of Roswell.) In McKnight’s affidavit he said, “No one in my family had any knowledge of such a [UFO] crash or military retrieval... I cannot believe that a convoy of Army trucks and cars could have come and gone without them noticing. If they had seen it, they would have told us about it” [emphasis in original]. No one pointed out the obvious flaw in Jim McKnight’s thinking which was, simply, if it had happened “they would have told us about it.” Well, maybe not. Families do keep secrets from one another, especially when they believe they are protecting their relatives. The second flaw that is not so obvious, and not mentioned by Klass, is that Jim McKnight didn’t live in Roswell at the time of the event. If he wasn’t there, then he certainly could be telling the truth, as he knew it. He could honestly believe that nothing happened because he had seen nothing himself and heard nothing about it from the family. However, that is not quite the same thing as him having been in a position to see anything and report on it. If he wasn’t there, then how does he really know who saw what? Klass continued with his speculations based on limited information. 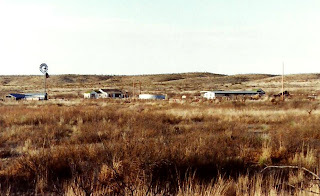 He wrote, “If there had been a military convoy, including a large crane to recover the crashed saucer, as Kaufmann claimed, it would have passed within a hundred yards of his Aunt Florence’s ranch house, McKnight told me during a telephone interview on March 21, 1997.” (McKnight ranch as seen in 1991). All well and good, but how does McKnight or Klass know the route taken by the military to get to that site? How does he know that it would have passed within a hundred yards of the house? So, according to what Klass had been told, McKnight’s aunt might not have even been there in July 1947. She might not have been in a position to see the military as they passed within Klass’ estimated one hundred yards. Of course, the military convoy wouldn’t have worried about roads nor would they need one to get somewhere. The military vehicles were built to operate on rugged terrain without benefit of roads. Besides, the desert out there is fairly flat and military vehicles would have been able to cross it without a lot of trouble. I remember driving cars across some of that desert without much trouble (and, of course, I remember having difficultly getting cars passed some of the dips and turns in the alleged roads there). The fact that the road today... or rather in the early 1990s, came within a hundred or two hundred yards of the decayed and collapsed ranch house is actually irrelevant. The military didn’t need roads to travel across the desert. If the road wasn’t there, then Klass’ estimate of the distance to the house is also irrelevant. Of course, none of the skeptics noted this. Believing the single witness who was not there, Klass now rejects the testimony of witnesses who were there based on the single witness beliefs. If a single witness tells the story the skeptic wants to hear, then the single witness is believed and all other witness testimony is rejected. Well, for one thing, I’m tired of being attacked for sloppy research when the evidence against my research is rather thin. In other words, I am defending my reporting of the facts (or to prevent a long and convoluted discussion, the facts as reported by various witnesses). But there is a second reason. 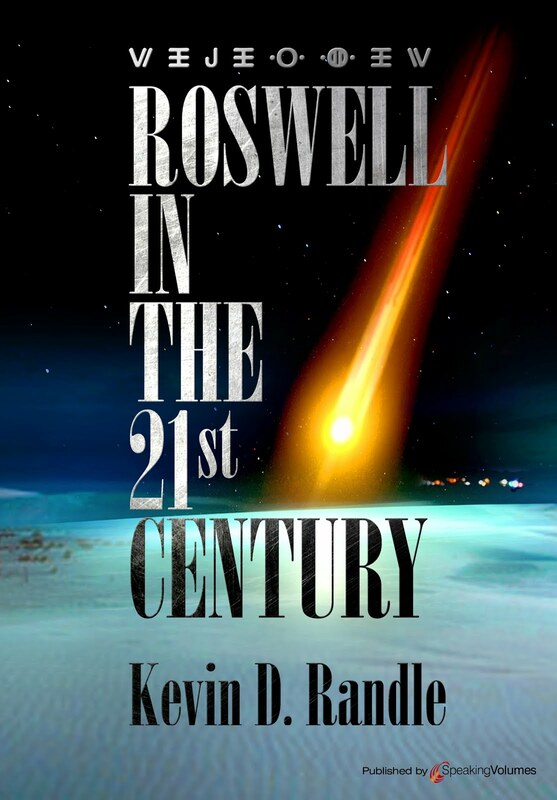 While in Roswell, I learned of a local who talked about the Kaufmann impact site. This witness said that her family, the McKnights, who were related to the Corns who owned the land in the 1990s... said that when the crash happened, one of the McKnights went over to a neighbor and asked them if they wanted to see the “little people.” Before they could get out there, the military had sealed off the site. Why is this important? Well, it refutes the McKnight affidavit that Klass relied on. It refutes the idea that the family didn’t talk about this among themselves. It refutes the idea that the military couldn’t get out there without the McKnights knowing... well, they couldn’t because the McKnights did know. At this point I just don’t want to reveal the source and I understand that skeptics and proponents alike will reject this story simply because there is no name attached to it. Right now I am comfortable with that. Right now, the name of the source is not important... What is important is that skeptics and debunkers accepted the McKnight affidavit without critical comment. And, no, I am not suggesting that we reevaluate the Kaufmann story nor am I offering this as evidence that Kaufmann may have had some sort of inside knowledge. I am only suggesting that Klass et. al. rejected testimony from Bill Rickett, Willliam Woody, and Walt Whitmore among others who said they saw military vehicles parked on the roads leading off Highway 285 because Jim McKnight knew nothing of a crash. Klass’ conclusion that their memories were flawed was itself flawed. And no, this does not take us to the extraterrestrial. It merely means that Klass’ analysis of the situation is flawed, but I have seen nothing from the skeptical side questioning what he wrote. One man, who wasn’t there in 1947 said nothing happened and Klass believed him. Those who were there in 1947 and who saw things themselves are rejected because, certainly, nothing could happened and therefore those who report it did, have flawed memories. And maybe it’s Klass who should be accused of sloppy research. He got the answer he wanted and stopped looking. Those of us who understand proper research realize there is always another question to ask. That’s the only way to really do it. That’s how we get to the truth and not just what we want to believe. When ever I give a presentation, I always try to leave time for questions because I know there will be people whose interests are different than my own. I want to give them an opportunity to seek additional information or to provide their perspective on UFOs. I have learned some interesting things with this philosophy. I have also been dragged into some really dumb discussions. Such was the case after my first presentation at the most recent Roswell UFO Festival. I had been describing my investigations as I moved through the world of the UFO and I spent some time on Robert Willingham. After most of the people had left the room (which was surprising because it was nearly a million degrees outside and the air conditioner was working), a fellow named Cal... no, not the guy hiding out in Prague or wherever, another guy who spells his name differently... wanted to engage in a discussion about Willingham. Except it wasn’t much of a discussion but more of a philosophical debate on the rules of evidence as practiced in American courts. Not criminal courts but civil courts where the preponderance of the evidence is sufficient to win the case. First, he wanted to know how I knew that Willingham had not been an Air Force officer and fighter pilot. I told him that I had searched all the appropriate data bases, gone through the various archives including that in St. Louis looking for any documentation, that I had been in touch with the flight schools in San Antonio where he would have trained (and where he said he trained) through the officer registries, through the archives in Denver, and found nothing to support his claim. He then wanted to argue semantics. What if there was documentation to support the claims? I tried to make it clear that there was none. Had there been anything, I would have found it. I had been to all the sources that should have had something but there was nothing there. The only documents available came from Willingham and I had been unable to verify their accuracy. In fact, it seemed that some of the documents had been altered. He wanted to know if I would change my mind if there were documents indicating that Willingham was telling the truth, but to me the question was moot. There were no supporting documents. He wanted to argue in the world of fantasy, and I wanted to stay in the world of reality. Had there been any doubt about what I had found, if there had been any gap in the information, then speculation could enter the picture, but the information was solid. There was no wiggle room. Then he wanted to know that if we had presented the evidence in a court and 51% of the people found that Willingham was telling the truth, would I accept this judgement? Well, no, because it really didn’t matter what the opinions were, only what the facts were. Let us say that a debate was arranged between Willlingham supporters and me. Let us say that we each presented the facts dispassionately. And then the audience (jurors) voted on who won. If the majority believed Willingham, would I concede the point? Well, no, because in these arenas it sometimes didn’t matter what the facts were. People’s opinions sometimes weren’t persuaded by the facts. Often they wished to believe to the exclusion of the facts... Otherwise how to explain that people still accepted the Allende Letters as something important, even after Allende himself admitted the hoax? How to explain that some still believed the alien autopsy was real even after those involved in creating it said they had created it and explained how they had done it? The point was that as far as I was concerned, as far as the facts were concerned, Robert Willingham had not served in the Air Force at any time, had not been a fighter pilot and had not been promoted to colonel (O6) by Lyndon Johnson. I even had found the original tale told by Willingham about his UFO sighting and learned it was significantly different from that he tells today and people still believe him. But Cal still wanted to argue semantics. Would I accept the opinions of those informed about the case? Would I look at documentation supporting Willingham? Would I do this or was my thinking so rigid that I would ignore evidence if it showed something else? I tried to make it clear that this was not a philosophical discussion. The research had been done. I had the information and there was no sense in talking in the hypothetical. There was absolutely no evidence to support Willingham’s claims. None. Now before this too becomes tedious in the extreme, let me say one other thing. Willingham does not know the things a long serving officer would know. He doesn’t know about SOIs, Forward Air Controllers, the SOP for operating in a combat environment and a hundred other things that someone who had done that would have known. This by itself suggests that he was not an Air Force officer. Cal wanted to control the conversation, but I grew weary of it. He wouldn’t listen, always proposing some new twist. He sounded like a negotiator who knew he would win if he just kept the air filled with his verbosity. But I would not concede his points, not because I was so rigid in my thinking, but because I knew the facts. He didn’t. He wanted to use speculation and I wanted to argue reality. In the two days that followed, Cal would show up at my table and attempt to begin the conversation again. I would not allow it. It was useless. He had no intention of listening to the facts. He just wanted to argue about something and I didn’t want to. I did learn one thing. Don’t argue with people who are uninterested in the facts. You can’t win, no matter what you have in the way of evidence. And some times they’re just interested in the argument and couldn’t care less about the facts. While in Roswell I had a chance, brief though it was, to talk to Stan Friedman. He had come up to me as I ate breakfast and suggested that I was probably correct about Robert Willingham which is surprising. Oh, not about Willingham because it’s pretty clear that he never served as an Air Force officer or a fighter pilot, but because of what it suggests about the MJ-12 documents. If Willingham’s tale is discredited, then MJ-12 is discredited because it mentions the Willingham story and there is no other source of information on Del Rio (or the El Indio – Guerrero UFO crash as it was disguised there). My immediate reply was, “It is when due diligence has been preformed,” which, of course I had done (and which, of course, sort of attaches a legal term to the argument). But this whole thing got me to thinking about this “Absence of evidence” line and what it really means. It is the last ditch effort to support a concept, idea, theory, or story that has nothing else to support it. Stan didn’t suggest other sources of evidence for the Del Rio crash, he didn’t offer additional witness testimony, he didn’t produce newspaper articles that talked of some kind of UFO event in the area in the right time frame (which according to Willingham’s various tales was 1948, 1950 or sometime in the mid-1950s). No, he just quoted his line as if that ends the argument. Here is where we are with the Del Rio crash. The only witness to ever mention it has invented his military career and if he wasn’t a fighter pilot, then he was not in a position to see the UFO crash. If he wasn’t an Air Force officer, then he was never an Air Force fighter pilot and his story fails on that point. Yes, Willingham has named other witnesses or potential witnesses, but then all of them are dead (which, coincidentally is the same problem with MJ-12... all the men named were dead before the document appeared). There has been no way to verify this story. We must accept it as Willingham tells it. The only other reference to this case is in the MJ-12 documents. There are no other witnesses, no newspaper stories (and before you get wound up on that, remember even Roswell was mentioned in the newspapers, as was Las Vegas, Kecksburg, Shag Harbour, and several other suspected and alleged UFO crashes), and there nothing in the Project Blue Book files. You must remember that if there was no Del Rio crash, yet it was mentioned in MJ-12, it would be the final, fatal blow to the Eisenhower Briefing document. There is no reason to include a hoax in the document, a hoax that wasn’t created until 1968, which, of course, means the author of the Eisenhower document was clairvoyant or the document was created after 1968. With Willingham’s latest date change, the crash didn’t happen until after the 1952 date appended to the Eisenhower Briefing Document, and is just one more suggestion the document is fraudulent. Here’s where we find ourselves today. Robert Willingham is the only source available for the Del Rio crash and he has changed the location, date, number of UFOs, type of aircraft, and a host of other details three times. There is no other source. Willingham was interviewed by Todd Zechel who was working with William Moore and the Del Rio case appears in The Roswell Incident. (And no, this isn’t a new source, but one that is traceable back to Willingham). 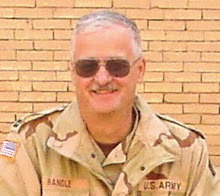 It then appears in the MJ–12 papers because everyone thought that Willingham was a retired, high–ranking officer whose word could be trusted. If there was a Del Rio crash in 1948 or 1950 (depending on which version of Willingham’s story you trusted) and it was not included in MJ–12, well that would be evidence of a MJ-12 hoax. No one thought in terms of the Del Rio crash being faked when the MJ–12 papers appeared in the mid–1980s because, it seems, everyone accepted Willingham as authentic. What evidence is there that something crashed near Del Rio, Texas, at any point in time? There is none. Nothing. The only conclusion to be drawn is that the Del Rio crash is a hoax (a much nicer word than lie) and if that is true, then the Eisenhower Briefing document is a hoax.